As of January 17, 2017, Mover no longer supports Hightail due to changes to their service and API. Read on for the original article. 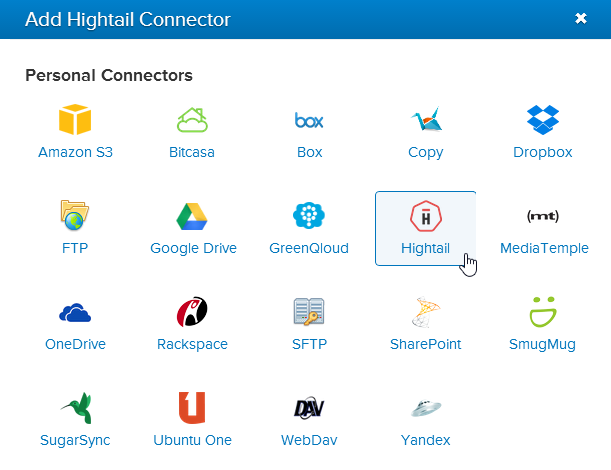 Hightail is one of the founding members of the cloud storage ecosystem. Initially founded as YouSendIt, Hightail has been offering file sharing services longer than any other provider that Mover supports. As one of Mover’s premium partners, Hightail customers enjoy the ability to swiftly migrate data from on-prem or other cloud platforms quickly into their Hightail accounts. Made for professionals, these guys are serious about servicing the needs of businesses. Hightail is a huge fan of the mobile experience so they offer mobile apps for Android, iOS, and Windows 8. Also, equally as impressive, you can collaborate on Hightail files using their native Salesforce and SharePoint integrations. You can learn more about our integration with Hightail here or sign up to get started. At the end of the day, Hightail is all about getting work done. Go ahead and try out our integration and get your data in to Hightail.